In 2011 my husband was serving overseas on his 4th combat deployment. During that year he was away one of our sons took it much harder than his two siblings. And one of those hard days while my baby boy was balled up in the corner crying for his daddy, I had an idea. I decided that we could “send daddy some love” by making him some heart crayons and sending them with his next care package. And what ensued next was amazing. 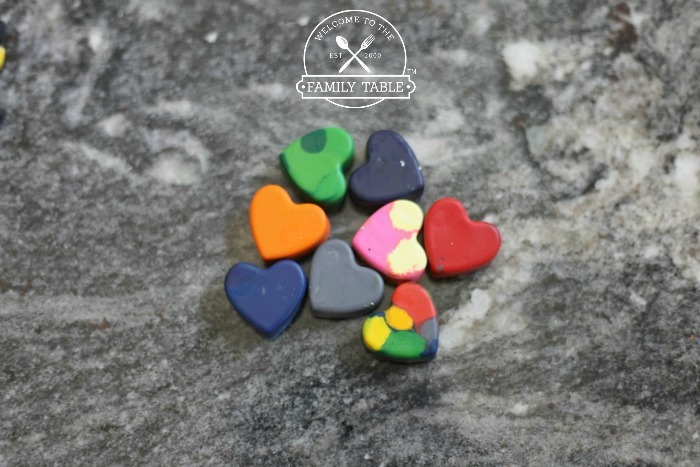 The simple act of making heart crayons from the old broken crayons at the bottom of our crayon box not only helped heal a broken heart or two in our home, it helped my son to realize the how much he enjoyed expressing his emotions through creating. 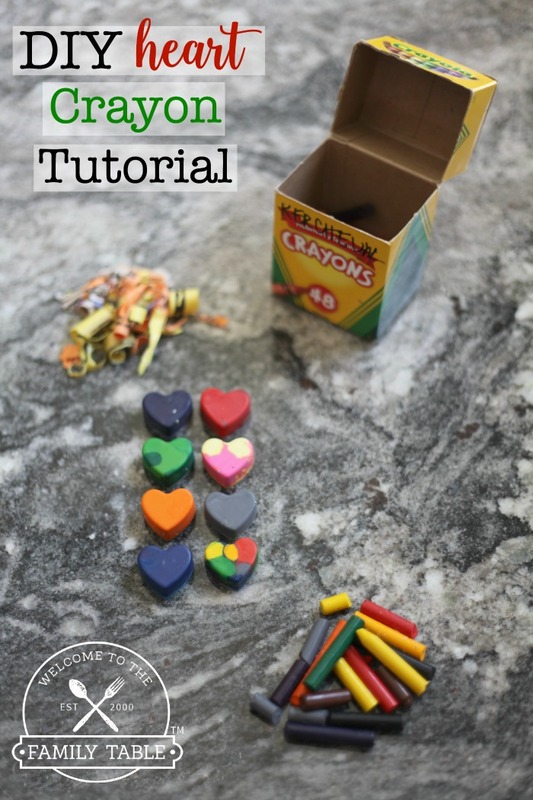 Making these heart crayons have also become a fun way to make old things new! 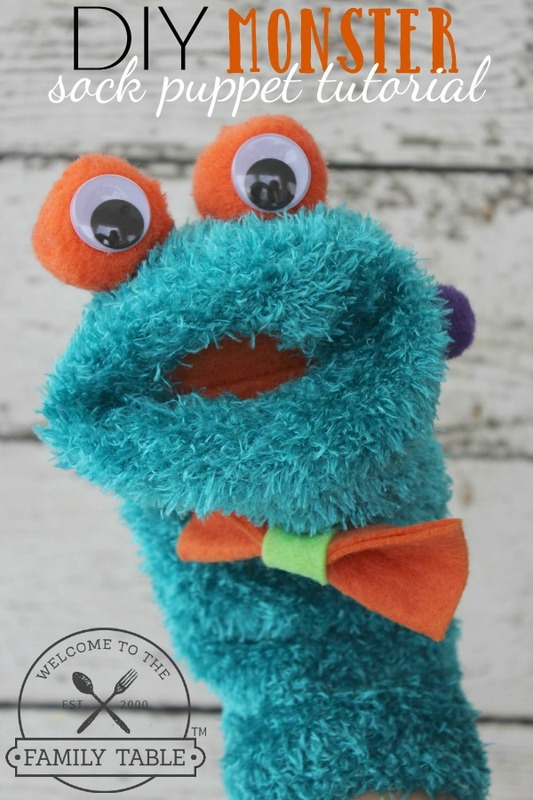 And these are a great gift to give to friends and teachers for Valentine’s Day! 1. First preheat your oven to 200 degrees Fahrenheit. 2. The next step is finding those old broken crayons and peeling the wrappers off like so. 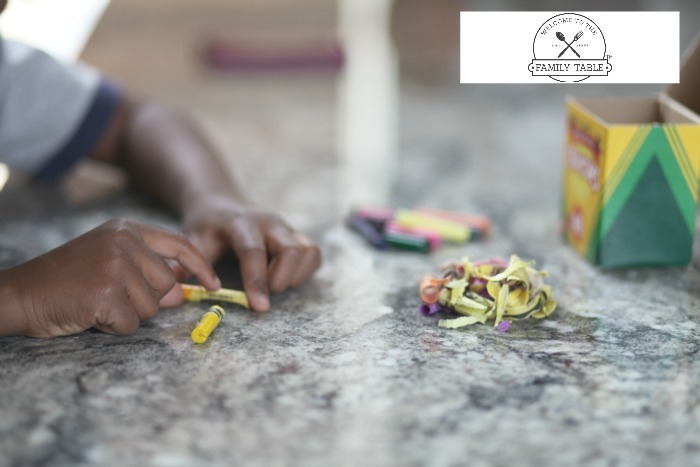 We always have a stash of broken crayons we save just for this fun craft. 3. 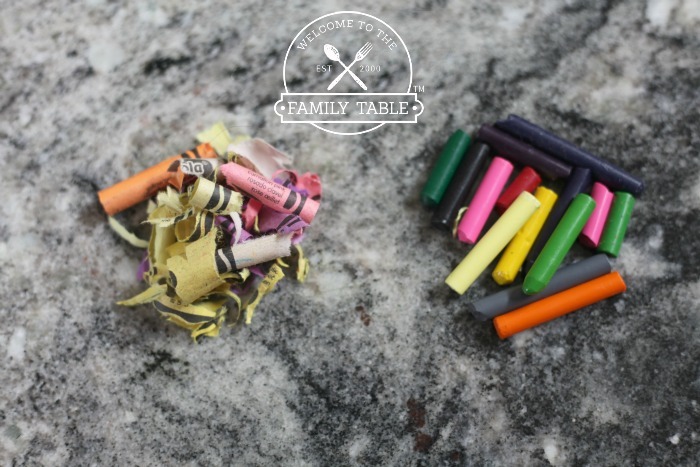 Place the crayons in a pile so you can see what colors you have and begin to strategize on how to mix them together (or not). This is my boys’ favorite part. 4. 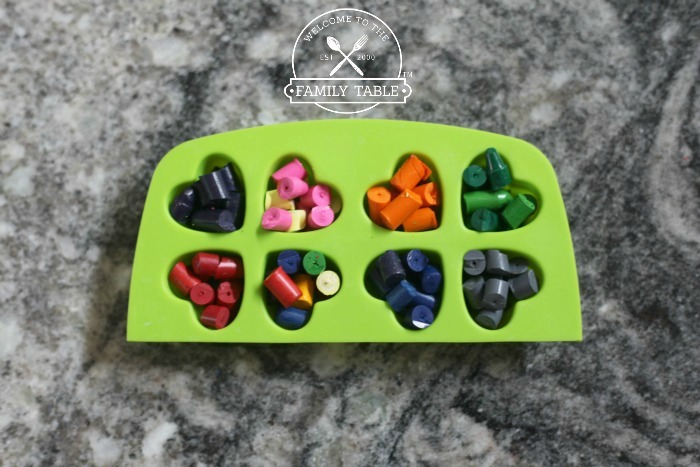 Next pull out your silicone heart mold to place your crayons into. This is the part where you get to decide what color combinations you want. Fun! 5. Break the crayons small enough to fit into the mold. Place the desired crayon color combinations into your silicone heart mold. 6. 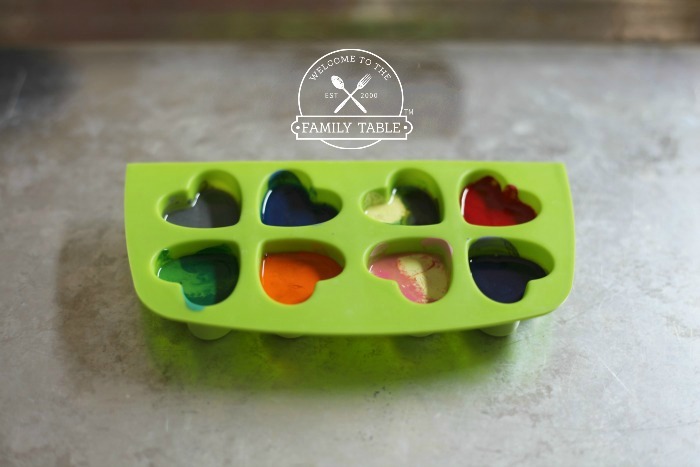 Place the silicone heart mold on a sheet pan and into the oven for 10 minutes (or until crayons are melted). 7. Pull them out, let them cool (they will be melted). 8. Once they’ve cooled, push them out and you’ll have some pretty neat heart coloring crayons!